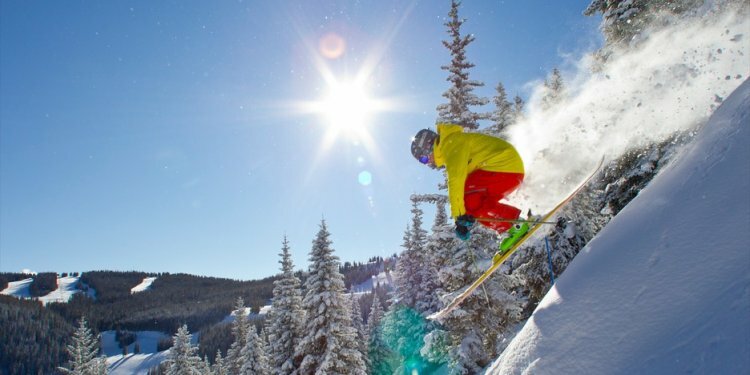 Explore the slopes of Breckenridge Ski Resort, one of the Western Hemisphere’s most popular ski destinations. Trails traverse five magnificent peaks along the Tenmile Range in the heart of Colorado’s Rocky Mountains. Ski, snowboard, snowmobile or sled along the resort’s world-class groomed slopes or discover a variety of backcountry space and stunning cross-country trails. After a long day enjoying the outdoors, investigate the area’s gold-rush heritage and find exciting dining in the town of Breckenridge. The renowned ski resort has diverse terrain to suit a wide range of skill levels, from beginners to seasoned experts. You’ll find beautifully groomed runs as well as pristine powder, all easily navigable with the resort’s network of 34 lifts. Begin your visit from one of two different base areas. Rent ski or snowboard gear from the resort’s facilities if you didn’t bring your own and get ready to explore the mountain. Check out the resort’s interconnected areas, from Peak 10 to Peak 6. Peak 8, at the heart of the resort, is the mountain with the broadest range of terrain. Find beginner slopes and thrilling terrain parks here. Peak 9 is ideal for beginners and children, while Peak 10 is known for its black-diamond and double-black terrain. Peaks 6 and 8 are well suited for intermediate skiers. Join ski classes to get tips on your technique and explore new areas of the mountain. Lessons are available for skiers and snowboarders of all abilities. Take a break and re-energize by visiting the cafés, restaurants and snack vendors on the mountain. You may have the chance to watch some of the nation’s best skiers and riders competing at the exciting Dew Tour competitions, held annually in December. Breckenridge Ski Resort is located along the southern peaks of the Tenmile Range in central Colorado. Reach the town below the resort within 2.5 hours by car or airport shuttle from Denver International Airport or Colorado Springs Airport. Appreciate the convenience of ski-in, ski-out lodging on the slopes or find accommodations in the picturesque mining town of Breckenridge. Enjoy the pretty town’s local restaurants and arts scene.